"Loved Ones, by reason of HIM who loved us & gave HIMSELF for us, that HE might redeem us from all iniquity................"
Your kind & most interesting letter of Dec. 20th reached us a few days ago. It was a long time in coming, as it was addressed to an address from where we moved away about 4 years ago. (in the mean time, we had moved 3 more times.) Evidently the Postmaster of Handorf made inquiries by people who know us, but who also did not know the exact address, but knew the place was Coerde, so he finally sent it to there, but the street & house number were yet incorrect, but the postmaster here, respect the mailman, knew our right address so it finally reached us. We thank you for the letter & the confidence you have put in us, in matters so important, for they concern life now & hereafter. 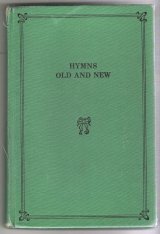 The "Church" you mentioned is no longer what it is claimed to be, for up till 1942, the fellowship we enjoyed, had no "man-made or man-invented name." We were satisfied with the only name in which is salvation (Acts 4:10-12) which can be traced back to as far as Genesis 4:26, when man began to "call upon the name of the Lord", & even further back to before the foundation of the world." (John 17:3, 5, 6, 8, 11, 12, 24, 26; 6:62; Eph. 1:3, 4,5 and other scriptures.) Evidently you do not know what took place in 1942, as such was done in secret, that is, the believers as a whole were not asked about the matter, as had always been the case in olden times, when a vital matter had to be dealt with, (Gen. 4:29-31, 1 Samuel, Chapter 8 or Acts, Chapter 15). If you really don't know it, this may be a shock to you. About 1939, a law came out in the States & probably in other lands, that all religious gatherings where more than 5 or 7 people were met, such meetings were to be registered because "communists" misused such gatherings for their purposes, a cloak for their secret actions. The chief or responsible "workers" hesitated to comply with that law (to that law?) (I have forgotten much of my English, especially the grammar) until some saints, fearing the consequences by not heeding the Law, begged the older workers to act correctly. (Rom. 13:1-7, 1 Peter 2:13-17). No doubt it was difficult to know off hand what to do, as we had "no name as the churches or sects or denominations have." Jack Carroll, George Walker & others spoke with the authorities, especially because we had "no name" in the sense the Law demanded for registry. I do not know of all the conversations that took place but have a few copies of some things dealt with. I got them from those brethren who urged the workers to submit to law, if per chance they may come free. The authorities knew of the meetings, as the "yearly conventions" could not be hid. All meetings were dealt with, the difficulty lying in the NAME. I am not sure, whether up to that time, "letter-heads" were already printed & used as what the world would call "official documents" as have been used since: nevertheless, letters headed with, for instance, "Miltown Conventions," were used, whereupon, the authorities, because such letter-heads were used, pressed the workers or demanded that the word, "Conventions" should be used to identify the meetings with. Evidently the word "Christians" could not be used, as all churches and religious organizations call themselves by that name. Therefore the name finally registered was, "CHRISTIAN CONVENTIONS REPRESENTING ASSEMBLIES OF CHRISTIANS ASSUMING THIS NAME ONLY". Now there always had been doubts as to the scripturalness of conventions & those workers who knew of the time when Conventions started & knew also, of how such came about, always avoided to speak thereabout, when asked. Now in 1933-34, I visited my first field of labor (Washington, Oregon, Idaho). In the fall of '33, I was present at the Miltown [Washington] Convention. Someone who I know not, asked that scriptural proof was to be given openly. It was Jack Carroll that took upon himself the responsibility to clear the matter. I know, that all present were most interested in the matter, as for me, I can say, that I had special reasons to obtain scripture for the Conventions, as I had not been satisfied with the manner or custom in which Conventions were held in Germany. Jack first mentioned the "yearly 3 feast" that were to be held in Old Testament time according to the Law given at Mt. Sinai, mentioning also such stated in New Testament; he then pointed to all "large gatherings" mentioned in the New Testament, such as the Sermon on the Mount, a like one on one of the plains of Israel, of the Feasts of the Jews, of Pentecost, of the "feeding of the 4,000 and of the 5,000; the meeting of "over 500 brethren on a Mt. of Galilee, that large meeting in the upper room at Troas, the meeting regarding "circumcision", etc., etc,. I do not know whether others were satisfied with his claims, as no one said after his speech, nor did I, but I was now more in doubt than before, but kept my fear to myself as I wanted to consider the matter for myself when I had returned to Germany. Now, it was always emphatic that the "solemn" meetings, (the Breaking of Bread) (see also Isaiah 1:14-15) "new moon" or monthly meetings, "appointed feasts, the yearly feasts; the spreading forth of his hands, (prayers) the "Sabbath meetings, the "calling of assemblies (Special meetings), the "solemn meetings.") that the breaking of bread" (the so called Lord's Supper) was to be held in the consecrated homes of people who had consecrated themselves to the Lord & whose elder was servant to the assembly or "Church." Stress was laid thereupon as it originated by command of the Lord on that passover night in Egypt and Jesus instituted "our passover" in that upper room in Jerusalem, continued by the Believers of those early days or years. If so, why then was the breaking of bread held in barns, tents, public halls (in Germany) etc., etc. To justify such means, we were told, "to uphold the unity of the people of God" or to strengthen them to be ONE BODY. Such seems right, but does not justify the means or manners, nor yearly or annual Conventions. The very word "Convention" became a snare to those workers who "secretly" registered the meetings of believers under that above given name. They told or even forbade the Authorities, that if inquiries be made, not to give information. The next of the "name" came to be, because the workers said that "the Conventions were that, from whence all was led or directed." Achan's theft (Joshua 7) came to light, nothing is hidden before GOD. Just how it got known about that "Registry", I know not, but I have a copy of an official letter written by the Authorities to a lady (one of the saints of Detroit who inquired about "conscientious objection to military service," as her son was to be drafted, evidently she had obtained information that a registration had taken place regarding the Conventions she attended.) I will send you a copy of the same. For years, that registry under that name remained hid, but when it got public it caused havoc among the believers in all countries. In Australia, for instance, the fellowship split into 3 divisions, two of them united again, calling themselves, "The United Christian Conventions, Representing Assemblies of Christians Assuming That Name Only." I got to know about it at my first convention around 1957, as I attended one in South Germany. It gave me a terrible shock as I read that letter which informed me of the "Name-giving" and "Registration." I do not know when such is registered in Germany but I have a copy of a letter set up by those older workers, in which all countries are mentioned in which "workers" were at that time, Germany included, also the number or how many workers were active there. Hence all countries and all believers in every land were included in that registration & NAMEGIVING. After I got over the shock (thanks be to God for my personal dealings or experiences or contacts with the Lord,) the latest one I will relate at the end of this letter, lest you may think of me more as is due me. (I have learned in course of time where the savest (sic) place is) (Corinth. 2:7). I do not boast, but the Lord gave me many infallible proofs that HE IS, and that He is a rewarder of them that seek HIM. Those private contacts with GOD have kept me from a presumptuous sin. Immediately after I got over the shock, I wrote to the workers here that I want to have that matter settled. I got no answer. Some months later, two young workers were sent to "bring us back.." Back to what??? We were accused of "having forsaken God's Way." These two workers evidently never had read 1st Tim. 5:1. Because their efforts failed, a sister worker was sent. (She professed in 1925 in meetings I held in Dusseldorf, Rhineland.) She too, used hard words, defending "what was present", not what Jesus began to do and teach, but before she left, she evidently thought of the time when the Gospel of Jesus was preached to her. If I were to relate what took place there, you would be astonished how God undertook for her and her people and for me, incidents that are backed by scriptures, for ere leaving, she said, "I know this is God's Way." (She must have meant what WAS, not what IS.) She also failed to cause us to turn back. Therefore, Arnold Scharmen, who took the place as overseer in place of James Jardine, came. He promptly said that he wanted to hold a tent-mission here, especially for our sake. He so defended conventions, tent-missions, especially built moveable "missions-halls," (a wooden building with one large room for meetings and an adjoining small room as a dwelling for the "preachers.) (And then they claim to be poor homeless preachers) I hope you will understand me aright. I am not scoffing at the workers, nor am I thinking hard of them or at enmity with them. I rather feel sorry for them that they will not consider nor will they be "easy entreated", but they count me a "traitor, a troubler, an enemy." On the way to find a place where to pitch a tent, I realized what that would mean for us, namely, to identify ourselves with the sect called, as I cited above. I was conscious that I had never left the Church Jesus had redeemed with HIS own blood, for not only the many-fold evidences HE gave me that I am HIS, but rather the many "chastenings" I got from HIM were and are the proof of being one of HIS children. I therefore prayed in my heart as we walked along to find a place for the tent, that HE would prevent such a mission here. HE heard my prayer, for all came to naught. As Arnold left, he even made mention of a certain thing, (I had objected to it about 3 years before--it would take too long to go into details), but he said, "Fred, long before you or I professed, such portable halls you don't agree with were used by the workers all over England and other places." These, his last words to me, only confirmed what the Lord, by the promptings of the Spirit, revealed to me. After I got married, both the workers here and elsewhere erased my name off the list, BUT NOT GOD. What God did for me during March, 35, to end of World War 2 and since then, is such sure evidence that tho the "workers" and others refuse to listen to me, they claim me to be one who had forsaken God's Way, God has used me to bring His message of Salvation to souls who were at deaths brink. HE even gave me in a vision in Berlin in the spring of 1943, the name of the street and the number of the house, for when I came there to that town, I found it so and those people got saved. Why did God not give the commission to the "workers" then? There were plenty of them and some were nearer to that town where I was to go than I was. I had to travel about 180 miles. "False testimony", "false witness", which is one of the things that defile man, was spread all over the world against me. I had a very large correspondence, which very quickly dwindled down to but a few within about a month or so. For about 30 years, only a few kept up fellowship and the Spirit with me. So if you "leave the church" where you are (to those of us, and there are many, who went forth to HIM outside the camp bearing His reproach, and we get plenty of it, we only use the first two C.C. [Christian Conventions] to designate whom we mean) or are put out, you are loosing (sic) absolutely nothing, but you have everything to gain, even to drawing honest souls after you to follow in the footsteps of Jesus. By GRACE we are saved, and "FAITH" is the substance of the things we hope for, to the which God has called and chosen us. Now I will relate to you what took place in the spring of 1971. You will know, that Germany is divided into two states. I labored in the eastern part during 1928 to 1935. Shortly after I got married, Hitler forbade me to preach. Workers counted me lost, the saints refused to accept teaching from me. (All the work of false interpretation and misusing scripture by the C.C.) Two hard, trying years followed, all seemed against me. But God undertook for me, so that I even obtained a state position in Berlin in the Government Chief Survey Office, as an official draftsman of government maps (Survey-maps). I believe I can say, that of all the workers in Germany, I have been arrested more often "for HIS names sake" than any other, but the Lord got me free again every time. HE has not left HIMSELF without witness. Thanks and praise be to HIM. When I approached the "workers" about that registration, to have it cleared, they then, as I mentioned above, spread false reports, false testimony, false witness against me. Such also reached the friends in Eastern German. As most professed in my meetings, they were perplexed & in doubt about me. I had no way to inform them, of what is TRUTH, as I could not enter that Communist part of Germany, & mail was controlled. In 1964, my sister-in-law visited us here in the West. She told me of the uncertainty of the friends there, for they desired to hear from my own lips as to how I stood to God, to HIS way, to them also. I told her to report to them how she found me. This she did & caused the friends there to take courage again, but they desired to see & hear me themselves. Certain circumstances prevented a visit, one was that because my eyes are poor, (I only have about 50% eyesight, owing to cataracts) & often need one to guide me, so my wife would have to accompany me. To do so she, as long as she was not yet 60 years old, would have had to pay an extra daily tax of about 3 dollars every day to stay there. A tax, we could not possibly pay out of my Old Age Pension, which some times scarcely meets the daily needs here. Nevertheless, we brought the matter before God in prayer, that if it be HIS will, to make a visit in Eastern Germany, that HE would then make it possible. Ten days after her 60th birthday (April 18th, therefore) on the 28th of April, I was wakened, as if someone had wakened me. I looked at the clock to find out how late or how early it was. It was exactly 5 a.m. As I meditated on what might have wakened me, there appeared before my eyes the following words as if printed or typewritten: "Thou wilt teach again where thou has taught." Those words stood or remained long enough, about 2-3 minutes, til I grasped their meaning, then disappeared. There was no more sleep now & I knew that the Lord consented or commissioned me (or us) to make the visit. We applied for passports, then sought to obtain permits to enter the Eastern States to remain there, & to return again to here. After receiving all these necessities, we got tickets & journeyed on the 27th of August. It took me till then to get the necessary papers & to save the money for the trip. All fear, that the communist authorities there might trouble us, was gone. I had full confidence IN HIS SURE WORD, for many a one who came to the border, was arrested, some never returned, for whatever reason, we know not. All went well at the crossing of the border, our papers were in order & what could they have against us? True, they no doubt had records of my activity in Saxony, both as Preacher of the Gospel of Jesus & as Cartographic Draftsman during the Hitler regime. My wife's sister & her lady-friend, with whom she dwells & two other relatives met us at the station of the city of Karl-Marx-Stadt, (formerly called Chemnitz, you might find it on any good atlas). A few days later we visited the first friends next to this city. Needless to say, that it was a day of joy & gladness. A few days later we went further, where quite a few reside in a village. There too, I could relate much & teach, what God had revealed to me in course of time. Again a few days later, we called on a couple, but they received us not as friendly as the others had done, they were stern "Conventionists", but we did not tell them of what I related in this letter. We did not want to trouble them, but hoped, that in the course of the conversation, some things might be said to clear matters, but such came not to be. However, we spoke of olden times, of the verity of God, of the TRUTH in Jesus & our confidence in HIM. Likewise, a few days later, on the 19th of September, we met with quite a few, that is, with the rest of the friends in those parts of Saxony, in the home of my wife's aunt, also "Bread & Water", (Bread & Water of Life), their eager faces & the satisfaction they got during my speaking to them revealed this. I did not know what to tell them, for all were anxious to know how I stood, having brought the Gospel to them. Some at that time had to suffer much, both for attending the gospel meetings, then as well as more so after they decided. One woman often came with a "black & blue beaten face, as her husband was such an atheist. But she kept true. This time, when she got word that we had come, & as she mentioned that she wanted to attend a meeting where I would speak, he said, to her astonishment & joy: "If Fred H. is there, then you can go to that meeting." It always pays to be true to the Lord to have & to hold "faith etc. Er I began to speak, I remembered that word of the Lord: "Therefore every scribe instructed in the Kingdom of Heaven brings forth out of the good treasures of his heart, old & new things." I then knew what to speak about. I began by telling them that the first believers in New Testament times did not have THE NEW TESTAMENT SCRIPTURES as we now have, but had to find in the Old Testament, "the Gospel of Jesus." Then I spoke to them of 2 Samuel, chapter 9, that this is a "Gospel-chapter, showing "David, as a man after God's own heart. The house of Saul, his enemy or enemies, all were dead. God had saved David in so many circumstances, & here we find him not as a rejoicing victor, but as he twice said: "Is there any one left of the house of Saul that I may show him kindness for Jonathan's sake." (There was a covenant between him & Jonathan, even as there exists a covenant between God & the world), (John 3:16). If you put the name "Jesus" in place of "Jonathan" then we understand the Gospel message this chapter contains. Is there any one of the house of transgressors, (men of death) that I might show him the kindness of God for Jesus sake. All from Adam on, as many as have sinned (all have sinned) are under the verdict: Death. "The wages of sin is death." As in the Garden of Eden, God called: Adam, (Eve included, for man & wife are one flesh) where art thou? So God is calling, "Is there any one, that I might show him mercy? I told them that Adam was honest enough to answer, what is seldom the case nowadays. It is not the result of general hardness of heart, but very often if not mostly, the result of false religion, religious organizations that claim to have Christ (Christ here, Christ there). (The C.C. claims that, too) but they have lost (or never possessed ) the SALT of the earth, & when salt has lost its savor, wherewith shall it be salted, it is worth nothing but to be cast out & trodden under foot of man. The increasing stepping out of religious circles, churches, etc. is because so called Christendom is only a churchdom; Churchianity in place of Christianity. Men are disappointed in such systems. For if they had walked in & preached the WORD OF GOD, they would have made progress in bringing people to act on that ONE ROYAL COMMAND: Love thy neighbor as thyself. Within 197 years, there is more war, more strife, more enmity in the world than ever. Even the C.C. encourage militarism. Jesus taught that whosoever taketh the sword shall be killed by the sword. David's call resulted in one being found, servant of Jonathan. I can imagine how David felt when the name of Jonathan was mentioned. They called & brought Ziba, (which interpreted means "planted" or "a statue.") A statue is set or planted "in remembrance of something or someone." God is mindful of HIS Creation. David once, as he stood in awe of God's Universe, said: "Beholding Sun, moon & stars, the works of thine hands, "what is man, that thou art mindful of him (or rememberest) him & the son of man that Thou visited him? Jesus once said: Are not 5 sparrows sold for a farthing & none of them is forgotten before God? (or God remembers them). Ziba stands as a statue of or for "servants", servants of sin." The thief on the cross said: "Lord remember me, when "Thou comest into Thy kingdom." Jesus assured him thereof. David asked Ziba: "Art thou Ziba?" He had served Saul, the enemy of David. None of us likes to be reminded that we are or were sinners, servants of sin. David asked him: "Is there anyone of the house of Saul, that I might show him the kindness of God for Jonathan's sake?" Ziba answered: "There is yet a son of Jonathan, lame in his feet." When God hears of one, a son with HIS covenant in the Blood of Christ, lame in his feet, but who probably wanted to walk as Jesus walked, He is in haste to help that person. David asked: Where is he? It is the searching of God's eyes through all the world to "find sinners, that want to get saved." Rom. 1:16-17; John 3:14-17. God wants to show us HIS kindness "for Jesus sake." Ziba said, "He is in the house of Machir" (which means: Sold, we all are sold under sin that He might have mercy upon us all) the son of Amiel (which means: People of God.) God has His people, even in BABYLON, the religious world, calling them: "Come out of her, o ye my people, & be ye separate & I will be Your God & ye shall be my people." Ever & on this is the Gospel - Call to people. Ziba further said: He is at Lodebar, which means: Without pasture. God's people, as long as they are servants of sin, have no pasture for their soul. There is where HE found me, my soul cried for deliverance. HE heard my cry (Ps. 40). It is Jesus that leads or brings us "out of the house of Machir (sold) the son of Amiel " (Adam was God's--Luke 3:38) at Lodabar (Ps. 107). All who ever got saved were found in such a state. I have experienced it myself, saw others delivered. Many times I stumbled & fell, but I got up again, I knew that salvation was only in Jesus, by faith in HIM, in HIS redeeming blood, (not in the sense of "continuing in sin"), but if I got into a rot or sin, then there is only one way to get right, to go to HIM. I know, what it means for the hand of God to be heavy upon one, when all appetite leaves one, when the anguish of the soul cries out of the depths. But such "chastenings" are far more evidence of being a child of God than many other things, be they ever so good. When the son of Jonathan was brought to David, David asked him or said, or called him by name, "Mephiboseth." (Which means: A destroyer of shame.) This word "shame" stands for, or under it the Israelite understood "idol" or "idols". There are many idols to get rid of. 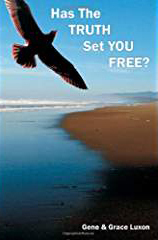 "Work out your own salvation in fear & trembling." "It is God that worketh in you, both, to will & to do according to HIS good pleasure." It is the Gospel that is "the power of God unto salvation to all them that believe." It is a work of Faith in Christ. (See hereto John 14:23 or Col. 1:27, or Gal. 2:20, or John 1:12-13). Mephiboseth said, "Behold thy servant." Adam answered that he had heard the voice of God walking, therefore he hid himself. Mephiboseth gave himself as he was, like Adam. Such can always be helped. He knew he had failed to "destroy idols," (sin) & was now dependent upon the "mercy of God for Jesus sake." David said, "Fear not." This is always the answer God gives, "Fear not, I will surely show thee kindness for Jesus sake, I will restore to thee all you lost & thou shalt eat at my table continually." I can sing with David. Ps. 23, every word is true, therein, goes into fulfillment. Ziba then is a type of our body & its members, which from now on are "servants unto righteousness," Rom. 6. Mephiboseth remained lame. This may be hard to understand, but to me it means, that I don't want to walk away, & well for me, if I wholly am dependent upon God. Your observations re "doctrine" are right, your views correct. Herewith a few more differences. Envy among workers, especially old workers, as to: who has to say. Strife for "place." Matt. 22: 8 - ONE is your master, even Christ Eph. 4:5 - ONE LORD! The annual or yearly conventions are held as "Centers, or headquarters, from whence all is led or directed. Workers like to cite Heb. 13: 7, 17 to justify "authority." See: Rev. 1: 13 - 16, 2: 1, 1 Cor. 1:--Eph. 5: 23, Col. 2: 10, 19-23. "Order," yes: Phillip 2: 3. Intolerant (claim to be the only true servants of God.) They think that because they "left" all for the Gospels sake & "go forth" as Jesus & the first disciples did, to be the proof of being sent of God. Rom. Cath. Missionaries, also the Mormons, as well as many Oriental & Asiatic priests and monks do the same. Jesus words are one who wants to "follow HIM" as a preacher of the Gospel are true: Sell all that thou hast, but the Old or older workers mix and misuse & misinterpret Matt. 19:21, Mark 10:21, Luke 12:33, 18:22 with Acts 2:44-47, 4:34-37, & 5: 1-11. Those in Acts, who sold all their possessions" & laid the price of the sold goods, did not sell such in order to go into the work, but sold such to "meet the daily necessities". Acts 2:44-45, 4:32-37, Verse 35 and Chapter 6:1-6. Even though Barsabas (Barnabas) is mentioned, we find long after this in Chapter 13: 1-4 as "then chosen of God to the work whereunto the Lord had called him & Saul of Tarsus. Verse 2. With the "poor"Jesus meant the poor people in general, "not" the workers (claimed apostles, evangelists.) Note Rev. 2: 2, 2. Cor. 11: 13-15; 1. Cor. 13: 3. Many workers have "bank-accounts" (one of the old ones was termed: "A Wealthy Man." One of them as he died at Jerusalem, left a very large sum of English pounds testamentarily to 3 certain heirs. Another inherited 83,000 dollars under the pretence to use it for "old or feeble or sick workers in their old age." We know of workers approaching aged Believers for them to acquiesce, to sign over their possession "to the Work" upon their death. Some even approach such, that they, while yet living, turn their dwelling over to the workers to have a home there then, & after the old folks have died. One could ask: "Where is their faith?" James 2: 1-4, 1. Peter 2: 17. Claim, as "a Church" to have no name but deny that since 1942, they are registered at Washington, D.C. as a recognized Church or sect or religious organization, under the name: "Christian Conventions," representing Christian Assemblies, assuming this name only." 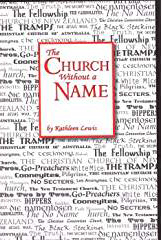 Other churches, sects & religious the organizations have a name ( a confusion of Names, Rev. 17:3 "names of blasphemy;" because of them, God's name is blasphemed, Rev. 13: 1.) The "name", which workers registered is an addition to the already existing "many names," thus increasing the "confusion." Claim to own no property, but the fact is, that thousands of dollars worth of property is "controlled" by them. Col. 3:1-2; John 14:1-4; 17:24; 2 Cor. 5:1-9; Heb. 11:10, 13-16; 13:14. Are "a recognized church," recognized by the world. 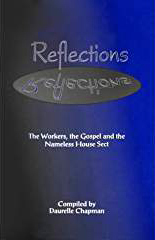 With the registration and worldly recognition, the workers received also the concessions connected therewith, even the right to the use of the title: Reverend. John 17: 6, 11-12; "therefore the world knoweth us not, because it knew HIM not. There are many more such things, that could be reported. God's real true people are satisfied with the provisions GOD has made such as: Jesus, the head, the heavenly Jerusalem as the "Center," where His Throne is from which orders, directions, guidance & help comes, satisfied with "where 2 or 3 are gathered in HIS NAME…& worshipping HIM in Spirit & in Truth with no visible organization or head; accept membership as cited in Luke 10:20, Heb. 12:23, 2 Tim. 2:19. Our meetings outwardly because small in number, therefore, seeming insignificant, but in "the general assembly, Heb. 12:22-24; need no outward attraction, (such as stated in Dan. 3; Matt 24:1-2, Luke 21:5-6; Mark 13:1-2; for God dwelleth not in temples made with hands. Acts 7:47, Isaiah 66:1-2, 1 Kings 8:27-28 but John 14:23; Eph. 3:17, Col. 1:27. An apparent weak little flock but trusting in the Almighty One. "Greater is HE that is in you, than he that is in the world." You are at liberty to make use of all the contents of this letter, first to help yourself & such (as you wrote) who are in that claimed church, honest souls whom you might win, that they also may go forth to HIM outside the camp, which means "bearing HIS reproach." I have been accused of the workers here, because of my testimony, "I was the only one who did everything right." I would never want to be guilty of such presumption. By the Grace of God, I am what I am, "A poor sinner, saved by Grace of God." To always keep to myself what HE, according to His own will gave me & caused to experience, would be equal to "hiding my lamp under a cover." Hope my "lengthy" letter does not weary you or leave a wrong impression. I am nothing, GOD & CHRIST are all in all. If I remember right, Tharold Sylvester was one of those who went forth with me in 1919 from Miltown. He did not welcome me in 1960-61. Ruben Bennet (I think it was he, who took me to his Gospel Meeting somewhere near Nooksok to "convert me." The only worker who met me at Vancouver, B.C. airport was one who had been cast out many, many years ago, about the time Eddy Cooney was "put out", misunderstood. My name is Manford Hanowell. I heard God's truth through my father, Fred C. Hanowell, who had been a worker both in the U.S. and in Germany. He was born on 15 Sep, 1894 and died on 25 Jan, 1977 at the age of 82. My grandmother Mary, who had been left by her husband, lived with her two sons, Paul, the elder, and Fred (in German Friedrich, my father) near Stuttgart in southern Germany. Two of her brothers, who had seen much of the world, had settled in Canada some time before. It seems that the brothers wanted my grandmother to keep house for them. So she emigrated to Canada in 1907 with Fred, who was about thirteen years old then. His brother Paul had to stay in Germany for some time because he was an apprentice with a blacksmith and the family couldn't afford to pay the fine which would have been due in the event the apprenticeship was interrupted. It appears that they lived with my grandmother's brothers for some time. But there must have been a disagreement of some sort between my grandmother and her brothers, the details of which I don't remember. At any rate, she and Fred (and later on, Paul too) eventually lived on their own. Paul afterwards settled in Cleveland, Ohio. My grandmother met John Manford Hanowell, a Canadian. The two seemed to have liked each other from the outset, and they were married. I don't know the year, however. The new family lived at Lynn Valley, northwest of Vancouver. Much later John Hanowell adopted Paul and Fred, and that's why we have the surname Hanowell. Two sons, Ernest and Walter, were born to Mary and John. When the First World War had broken out, Fred and Paul, who didn't have the Canadian citizenship yet, were arrested by the police and were in danger of being interned. The reason why their mother didn't come within the provisions of the law which was applicable to foreigners (without Canadian citizenship) must have been that she was already married to John Hanowell, but that John had not yet adopted Paul and Fred at that time, for I distinctly remember my father telling me that it was only Paul and himself who were arrested. The man who had been authorized to enforce the immigration law knew Paul and Fred personally and interrogated them briefly; he was well disposed towards them and told them that he knew that they were peace-loving people, and he added that he was willing to release them provided they were agreeable to emigrating to the United States (which was not yet at war with Germany) Paul and Fred agreed, obtained passports and that very night they crossed the border between Canada and the State of Washington at Huntingdon-Sumas. Everything went without difficulty. The place where they settled first was Bellingham, Washington. After some time, Paul went to Cleveland, Ohio. Later Fred's mother and stepfather came to Washington also, and after some time the family moved to Nooksack, which is not far from Bellingham. It is in Nooksack where my grandmother lived to see a good old age; she died in 1966 at the age of 93. Fred had always been interested in religious things, as indeed had his mother and his grandmother before him, who had been members of the Lutheran Church. In the United States he got in touch with people, among them were Jack Carroll and Jim Jardine and others, in whose lives he saw the sincere desire to live just as the first followers of Jesus had done over 1900 years before, without affiliation to any religious sect or organization. He professed and in 1919 at the age of 25, he felt the Lord's call to leave everything and go out into His harvest field. His mother, quite naturally, asked him how he thought he would be able to support himself once he had given up his work. Fred answered her that the God Who had cared for Elijah, for John the Baptist, for the apostles, and, indeed, for Jesus, would also care for him. His mother and his two younger brothers accompanied Fred to the place which was to be the starting-point of his ministry. It was at a meeting there that my grandmother also made her choice for Christ. Fred preached the Gospel in the northwestern part of the United States ( Washington, Oregon and Idaho) for about three years. As he was a German by birth, he was sent to Germany in 1922 or 1923 to preach the Gospel in his former homeland. He preached in various parts of Germany, from 1928 to 1935 in the Eastern part of the country. It was at Frankenberg near Chemnitz ( Eastern Germany) where my mother, Hanna Zentzsch, together with her mother, Olga Z., and sister, Margarete Z., professed. A great number of people professed in the Gospel meetings that he and his various companions held over the following years. Fred and Hanna were married in 1935. Fred was 41 years old and Hanna was 24. There had been plans that my father and mother were to go together as workers, but these plans did not materialize; and about 1935 Fred was forbidden by the government to continue to preach. After they married, the workers removed Fred’s name from their Workers Lists. The couple continued to attend meetings. There were no conventions during the nazi period. This is explained in more detail in another paragraph below. At the time when Fred and Hanna got married, Hitler had been in power for two years and had begun to establish his totalitarian terror regime, which was to prove the darkest and most horrible period in the history of Germany; indeed, in view of the unprecedented crimes that the nazi regime committed, I would even go as far as to say, in the history of mankind. I was born in Dresden ( East Germany) in 1936, my sister was born in Berlin in 1939, and my brother in 1943, also in Berlin. (At that time there was no division into West and East; this happened only in 1961 when the Wall was built by the East German Communist State). By 1936 my father was without a job, and, consequently, without a regular income. He worked in all sorts of jobs that were offered. Then an opportunity came. As he had always been good at drawing, he enrolled in a training course for those who were to be employed as cartographic draftsmen. One of his teachers was a staunch nazi and a declared atheist, too. At one time he asked my father, mockingly, what he would do if he had to decide between Hitler and Christ. Before my father could answer, two colleagues of the teacher came and asked him something; besides, the lesson was over. But the question was to be asked again. After the course had come to an end, all those that had passed the necessary exams, were called alphabetically by that man, and the employment contracts were signed. When those with "H" were called, Fred Hanowell waited in vain. Finally, after all the contracts had been signed, the teacher called Fred Hanowell's name. He said: "Mr Hanowell, some time ago I asked you a question; you didn't answer it. I'm now asking it again: 'What would you do if you had to decide between Hitler and Christ?'" (obviously implying that it depended upon him whether Fred Hanowell would get the post or not). Before Fred could think about an answer, he heard himself say: "Mr Ebert, I have learned to be faithful." The teacher looked at him in amazement, said nothing, took his pen and entered my father's name in the list. And Fred, thankful to God, remembered Mark 13:11: But when they shall lead you, and deliver you up, take no thought beforehand what ye shall speak, neither do ye premeditate: but whatsoever shall be given you in that hour, that speak ye: for it is not ye that speak, but the Holy Ghost. The Second World War came, unleashed by Hitler. The home meetings had to take place secretly; the Gestapo and their henchmen were virtually everywhere. We first lived in Dresden (from about 1935 to 1939); but soon Fred was transferred from the Dresden survey office to the central office in Berlin (see the remark above for East and West). We lived in Berlin from about 1939 to 1943. By that time Berlin had already been heavily bombed, and the number of air raids increased. My mother's aunts, who had also professed at meetings held in Saxony and who lived in a small town, offered us rooms in their house. That town was comparatively safe, although it was not far from Chemnitz, a large industrial town (and I remember vividly, I was about seven or eight years old, one particular night when the sky in the direction of Chemnitz was intensely red as the town was being heavily bombed). My mother and we three children (ages: 7, 4, nearly 1) then moved to our aunts' house while our father stayed in Berlin for a while. During the war, of course, there had been no communication with any of our relatives in the U.S.
After the war Fred tried to get back to America, but since he no longer had American citizenship, the authorities evidently had other priorities, and his plans did not materialize. So we have, as a family, never lived either in Canada or in the U.S. In 1960/61 Fred made use of an opportunity to visit the U.S. again. At that time, he saw his mother again after more than thirty years and also his brothers and their families. Let me now come to what others and ourselves have experienced as deviations from the simple and true way of Jesus, which have developed in the course of the past decades. I have a vivid recollection of the time, which was around 1958, when we first got to know something of what had happened in the U.S., when the workers there had, a number of years previously, assumed the name of Christian Conventions. I was 22 years old, my sister was 19 and my brother was 15. For more details see below. And also elsewhere they have assumed names and have become registered religious bodies. I hear that they are called the Testimony of Jesus in Britain. I have documents from the early forties, and, besides, quite a lot of information is now available on the Internet. When we first heard about the developments in 1958, the news was a shattering experience for us, and at first it seemed as though the firm ground on which we were standing was, as it were, being drawn away from under our feet. But then we realized that it had not been any man but God who had put our feet on the foundation, His Son, in the first place; a foun­dation which has not been laid by any man, for other foundation can no man lay than that is laid, which is Jesus Christ. (I Cor 3:11). Over the many years we have both experienced hostility from various quarters and heard about similar experiences of others. When my father visited America in 1960/61, word had obviously got around, and he was virtually ostracized by many of his former friends and even by those who had heard the truth through him. I was sad to hear a few years ago that there had been quite a number of excommunications and removals and/or closures of meetings in Alberta. If my information is correct, things in the Testimony there are not really good; besides, I am told that they have become incorporated and are registered as Alberta Society of Christian Assemblies. And if the Internet is reliable, this hasn't happened recently, but was done as early as about ten years or so ago. Now this seems just one of the consequences of what happened in 1942 with the registration of Christian Conventions. I have only recently been informed that they have rescinded the incorporation. For Fred there was never any other name but THE NAME OF JESUS CHRIST. In several discussions with workers and "saints" alike, he pointed this out very clearly. However, hardly anybody would listen to Fred, certainly none of the workers. Unfriendly letters were written, the "saints" were warned not to have any fellowship with us, and we were more or less shunned. It would seem that one of the main reasons for the name-giving was the idea that the workers (as "ordained ministers", so to speak) should be exempt from military service. The workers were indifferent, however, to the question whether this should also apply to ordinary "saints". 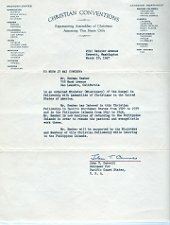 As a matter of fact, in the letter from the National Headquarters, Selective Service System, Washington, D.C. of Nov 22, 1946, which was written to Mrs Olga Hawkins, Detroit, Michigan, in reply to her request for information regarding the "Christian Convention people or assemblies of Christians", one of the workers is quoted as saying that "we have no doctrine which in any way disables our converts to enter into the armed forces of our Nation, and many hundreds of our people are now in our armed forces of their own volition." Now, why was it only the workers who wanted to be exempt from military service? Why should there be a distinction between workers and "saints" on that issue in the first place? Or, last but certainly not least, what about the commandment Thou shalt not kill? The earliest document that I know of which uses "Christian Convention" letterhead is an invitation by Jack Carroll addressed to Fred Hanowell, in which Jack says that he is very glad to hear that Fred is planning on a visit to the United States and he assures him of a hearty welcome to Washington. The letter is dated as early as 22 Feb 1933 (!). One might wonder why Jack used such formal letterhead to write to a long-time friend? first time in the late '50s. Let me give a few details and mention a few friends Fred corresponded with. The first hints of what had happened were in a letter from Ada Singleton, Kent, Washington, of 22 Aug 1958. She enlarges on the whole development in a subsequent letter of 22 Dec of the same year. "... It is noted that you requested information regarding this organization with specific reference to the question of the expression of any views regarding conscientious objection. This Headquarters has issued a predetermination that Christian Conventions is a recognized church, religious sect, or a religious organization, within the meaning of Section 622.44 of the Selective Service Regulations. This predetermination was based on information procured directly from officials of the church; namely, George Walker (overseer), 2350 East Susquehanna Avenue, Philadelphia, Pennsylvania, and others. ..."
My father kept up an extensive correspondence with various people in the U.S, Canada, Australia, and Northern Ireland. Besides those mentioned above, among those that wrote to Fred were, for example, Dr. Walter Rittenhouse and Dr. Will Sweetland, both Lemon Grove, California; Virgil Simpson, Kent, Washington; Howard and Ruth Skinner, Mission City, British Columbia; and many others. Whatever the reasons for the various registrations were, I cannot help feeling that the actual result (though probably not intended) was that they, so to speak, exchanged the Name of Christ for the name of a registered church. This is a serious thing! I have very often asked myself over the past years whether it was right that we did not go to the con­ventions any more after we had heard of the deviations that had oc­curred in the U.S. and elsewhere, on account of which we subse­quently had, as already mentioned, extensive talks with workers and friends alike, emphasizing the necessity of following Jesus rather than submit to a man-made system, of trusting in His name rather than be as­sociated with a man-made name, however good it sounds. I was greatly encouraged when I read Hebrews 6:10: For God is not unrighteous to forget your work and labour of love, which ye have shewed toward his name, in that ye have ministered to the saints, and do minister. I do not claim any merit in this, but I am think­ing of my father, who worked in the Gospel wholeheartedly and faithfully, and for me his work is still a living testimony, which encourages me to continue in God's way. As already said above, for him there was never any other name but THE NAME OF JESUS CHRIST, and I can still hear him quoting Acts 4:12: Neither is there salvation in any other: for there is none other name under heaven given among men, whereby we must be saved. Judging from the history of Christianity (and what passes for Chris­tianity), I cannot help having the impression that God's truth has always been in danger of being changed and perverted. For example, one of the earliest tendencies towards what later on came to be known as the Roman Catholic papacy can be seen in the Letter of Clement written to the Corinthians, which dates back to the end of the first century A.D. Though it is written in a conciliatory style, one cannot fail to see that the church of Rome was, even at that very early time, trying to assume a leading position among the Christian churches. I feel that once deviations have been introduced, there seems to be a kind of inner dynamic at work, which those responsible for this development may not be able to stop unless they are willing to be once again led by God's Spirit, and by Him only. I would now like to relate one or two of Fred's experiences with God. I fully trust that those who will read it will receive it the way it is intended. After my mother and we children had been evacuated from Berlin and had accepted my mother's aunts' invitation to live in their house, my father was still in our former apartment. This was in 1943. One night Fred was woken up as though somebody had woken him. But he was alone in the apartment. He briefly switched on a torch to see what time it was; it was three o'clock sharp. He was lying in the darkness of the night, the windows covered by blinds (the cities and towns were in total darkness because of the air raids). Suddenly there appeared before his eyes on the opposite wall bright letters and a number: Albrechtstrasse 12 (the name of a street and the number of a house). The letters and the number were visible until they had indelibly engraved themselves on his mind. He prayed to the Lord to show him the meaning of the vision but got no answer. About six months later, Fred was transferred from Berlin to Waltershausen, a town in Thuringia, with a special assignment. Originally he was to have been sent on this assignment much earlier, indeed at the time he had had the vision; but something had occurred that had prevented the earlier transfer. After he had arrived at Waltershausen, he went to his office to report for duty. When he said that he would now have to look for a room, he was told that arrangements had already been made and that a man would go with him to show him the house. They went through a few streets until they turned into a street called Albrechtstrasse and stopped in front of no. 12. It was the address that Fred had been shown about six months before. He was welcomed by an elderly couple. They told Fred that they had been informed of his visit about six months before and were glad to see him. Besides, they had heard that he was a preacher. This led to a first conversation about biblical things. Many such conversations followed, and the relationship between Fred and Mr and Mrs Ostermann became closer and closer. About three months later, when Fred had just come into the office in the morning, his superior came in telling him that he was to go home at once because somebody had died. Fred was shocked because he thought that something had happened to his family. No, the boss said, it was Mr Ostermann who had died that morning. He added that Fred should feel free to do everything that needed doing in such cases even if this meant staying away from the office for a whole week; besides, he said, they couldn't really do much work anyway because of the continual air raids. Mr Ostermann's sister, who had come immediately after receiving the telegram, told Fred about a letter that her brother had written to her. In this letter he had told his sister that a preacher of Jesus was staying with them, and that he was glad and thankful to God for the truth that this preacher had brought to him and that he was willing to follow Jesus. Fred was asked by the widow to speak at the graveside, which he did. There were no air attacks on that day. This was one of the experiences that showed Fred that he was still in God's ministry. Some might say that he was not a "worker" in the technical sense; but God was still using him in the real sense. As far as I remember, it was in 1946 that conventions were resumed in Germany. I would now like to relate another of Fred's experiences. My father went to one of the conventions in 1946, which was held near Hanover. Later he told me that he did not remember why he went alone, but I remember him saying that he had somehow felt that he should thank God in public for having guided and protected us during the terrible war years. As he was standing in the doorway and watching the congregation fill the large room, he suddenly had a vision. Above those that were sitting in the room he saw a kind of cloud, and on the cloud there was a small number of people, whose faces however he could not see; so he was not able to recognize anybody. And then a soft, kind voice said: Who is my mother, and who are my brothers and sisters? There was a short pause, and the same voice answered the question: Whoever does the will of my Father in heaven, is my brother and sister and mother. (Cf. Mt 12:50). At that time he did not understand the deeper meaning of the vision. It was only when he heard of all the deviations that had taken place, especially the registration as a recognized church, that he realized why God had not sent one of the workers but him to "Albrechtstrasse 12" three years before. I married Siglinde in 1964, and we live near the town of Muenster, North-Rhine-Westphalia, Germany. (North-Rhine-Westphalia has a common border with the Netherlands and Belgium). Siglinde, who was a member of the Lutheran church, is going God's way with me, for which I am very thankful. Siglinde comes from Dortmund, a big industrial city in the Ruhr district about 50 miles from our place. She worked first at the post office, then as a telephone operator in an industrial company and later on as a secretary in a hospital. We have two boys, Jens and Holger. Jens (40) has a daughter (Jana, 16). Jens has been divorced for a number of years. His former wife, Susanne, has the custody of the child. Jens is a computer programmer. Holger (37) is married to Sabine; their son, Roman, is six and has just started school. They live in Schwerin, which is a city on the Baltic in what used to be the German Democratic Republic ( East Germany). Sabine is a teacher of French and German, and Holger, who has a PhD in English and History, translates novels from English into German for two German publishing houses. As I have always liked languages, and particularly English---my father's language, which, as I said above, he had acquired when being a boy and by the time he had become an adult spoke like a native speaker---, I studied the language including its history from the time of the earliest manuscripts, as well as German and philosophy. I got a PhD in 1971. For more than thirty years I was a teacher at the English Department of Muenster University (North-Rhine-Westphalia). My special fields were the history of the English language, medieval literature and philosophy, and historical as well as modern linguistics. I have been in retirement since 2001. When I visited our relatives in Washington in 1980, I stayed with my father’s brother, Walter, and his wife, Cleta, in Nooksack and also saw the whole Hanowell family; also Ernest and his wife, Anne, who lived in Port Angeles, Washington, at that time. In 1982 I made another visit to Washington, this time accompanied by my wife, Siglinde, our younger son, Holger, and a friend of his. Over the years we have been in regular contact with our relatives. My mother is 95 now (2006) and lives in an old people's home not far from our place. My Father passed away January 25, 1977. My father and I were very close. It was his wish that I should speak at the graveside, which I did. It was not easy for me but I regarded it as a privilege, and I am glad that, with the Lord's help, I was able to do it. I still miss him very much, indeed in a sense I miss him more than ever. But I derive comfort from Paul's words to the Romans: For whether we live, we live unto the Lord; and whether we die, we die unto the Lord: whether we live therefore, or die, we are the Lord's. (14:8), and particularly from the Lord's words: ... and are the children of God, being the children of the resurrection. For he is not a God of the dead, but of the living: for all live unto him. (Lk 20:36‑38). I am thankful for the Gospel message that I heard from my father and which has been, over the many years, the most precious element in my life. I want to continue on the Way that Jesus trod---the Way which He Himself is; want to be more faithful to Him, giving Him the first place in my life. I pray that He will make me more and more willing to take upon me His yoke, knowing that then I will not be alone. I also pray that He will enable me to give something to others of what I have been given, especially to my family. Going God's way requires faith; and there are times when I feel just like that father in Mark 9 who cried out: I believe, help my unbelief! And I feel that what appears to be lack of faith in my eyes becomes faith when I confess this very lack of faith to the Lord. Today I shall try to answer some of the ques­tions asked in your letter received last week. It would be a long story to tell you some of the things that led to my own questionings of things that were being done on the inside. Perhaps I should say it was an "inquiring mind and a refusal to be satisfied with evasive answers to sincere, honest inquiries." I am enclosing a paper that may supply the an­ swers to [much] that you wished to know. This paper came out 7 years after the one [which] is in your possession, the one that I circulated several years ago, [as I] felt that the things that were being done were so wrong. I have been out of fellowship with the C.C. or­ ganization 15 years, and it seems it takes years and experiences to cause a real concern and question­ ing, but in spite of the time element, a few here and [there] in all parts of the world wish to know the facts. Some one said that there are 3 sides to every story—my [side], your side, and the facts. All I am interested in is conveying the latter. The young chap who compiled the enclosed, as well as many in his country knew some sad experiences, but per­ haps all has taken place to open their eyes to the truth of things as they are, for which all should be grateful. Having been in fellowship with them since 1911 , I knew much of what had been going on inside, and since it has been of earthly origin and very de­ ceptive at that, it ’ s no small wonder that it has taken the turn it has. It’s just too bad that so-called "workers" still con­ tinue to cover up and deceive, and while there may be some of the younger ones who are ignorant of things, this cannot be said of the older ones. Some of the older ones in your own country have seen and know of these papers and will some day have to answer for themselves. Mr. Parker was in our home 5 yrs. ago before that paper ever went to press and had he been older and in fellowship with them longer, it could have contained a great deal more. I have correspon­ dence from the Gov ernment and other sources regarding statements they have made which have been en­ lightening to me, and while for a time it did cause heartache and bitter disillusionment, I have learned through the past to quietly and calmly reason things out and have tried in a small way to make known these same facts to others so that they would not support or uphold the wrong. It was my privilege a few weeks ago to visit with some in Alaska and in the western states who have given thought to these things and I know there are many in other places who are doing likewise. You mentioned that you may in the not too dis­ tant future come to these shores, and if so, I would be glad to meet you and speak face to face. My best wishes and greetings to you both and I shall be glad to hear again from you.